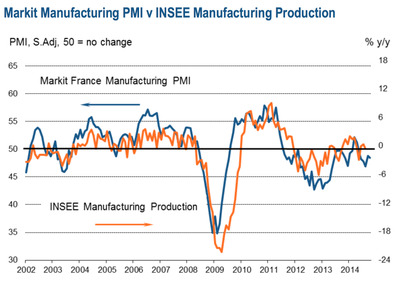 France’s factory output is still shrinking, the latest in a very long line of fairly grim indicators for the eurozone’s second-biggest economy. Markit’s manufacturing PMI, one of the major early indicators of business activity came in at 48.5, from 48.8 in September. Any score over 50 indicates growth, and any score below indicates a contraction. 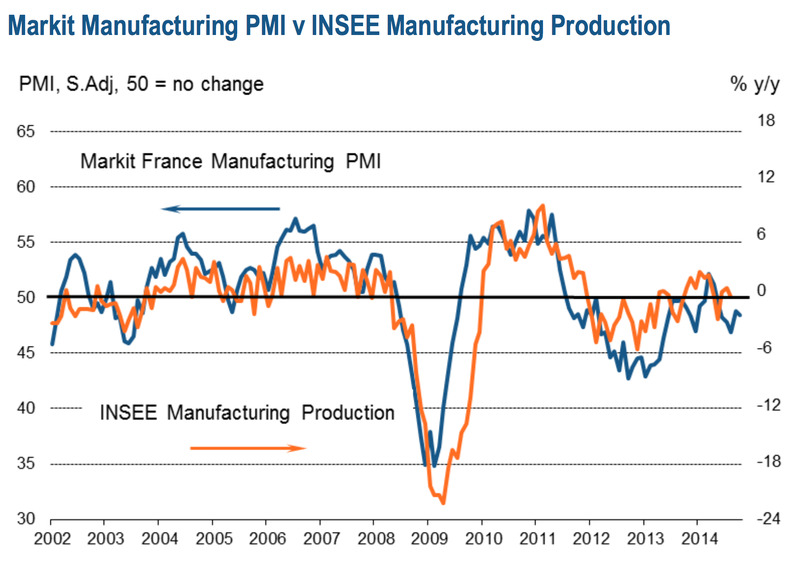 France’s figure has not been in positive territory since April.